If you struggle to find cute and stylish maternity clothes during your pregnancies (who doesn't?! 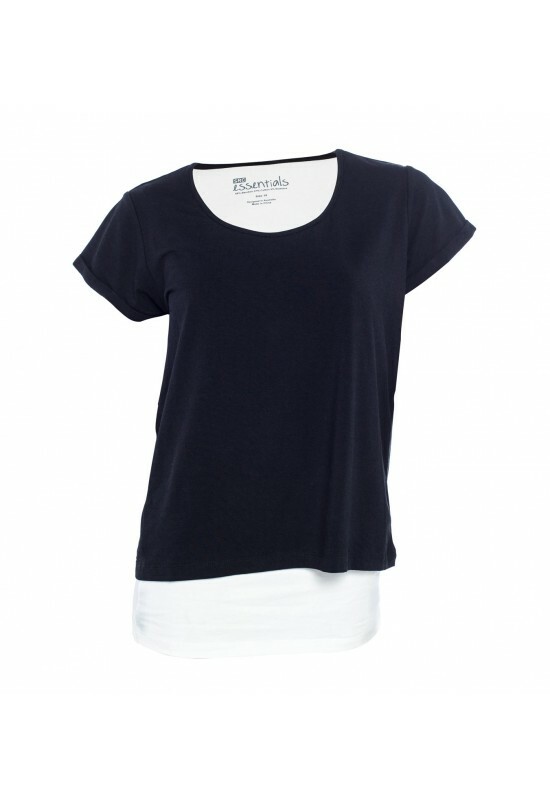 ), and then flattering and comfy feeding clothes soon after, then you are going to LOVE the SRC Essentials range. You might recall that I was fortune enough to have received a few pieces from the range to take to the hospital with me last year (you can read that post here). Since having Mr T (and wearing everything I received to death) I have also been trying out new pieces from their Spring/Summer range and loving them! Now you may have gathered that I am a bit of a dress gal', so I have to say that the feeding dresses were top of my wish list from the range. The short sleeve feeding dress has been an absolute saviour during this hot weather - yes we have actually had a Summer for once here in Melbourne! 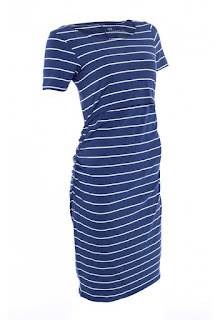 The dress is super stylish and comfortable to boot. I love how versatile it is - dress up with a pair of wedges (because I cannot quite get back in to heels) or down with flats or flip flops for the grocery run. The colours are divine in this little number, but if blue is more your thing - you can get it in this print too. 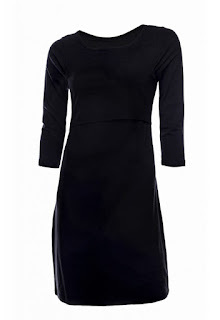 The feeding dress also comes in a 3/4 sleeve design - a perfect transeasonal number. 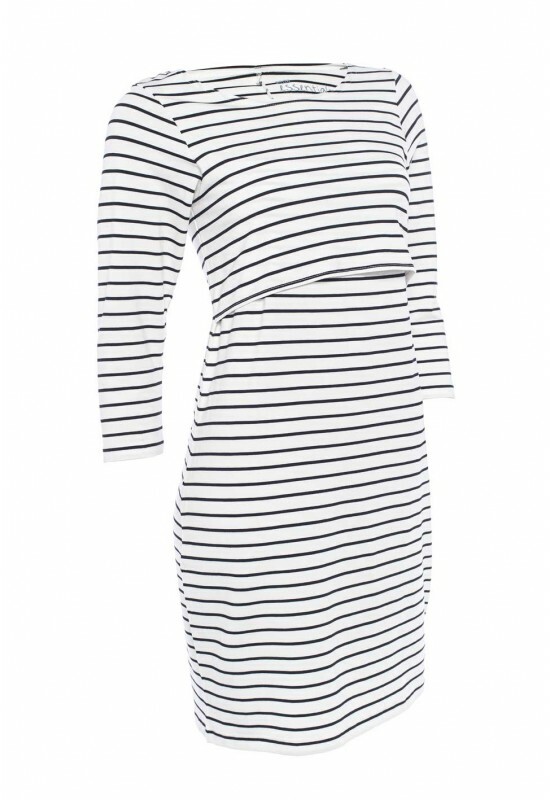 I love how effortless these dresses are, pop on and you feel 'done'. This one I wore under my denim jacket or SRC Essentials Waterfall Cardi during the cooler Spring days. Again so easy to dress up or down with different footwear or jewels, and perfect for everywhere from beach to bar (if you remember what one of those looks like!). 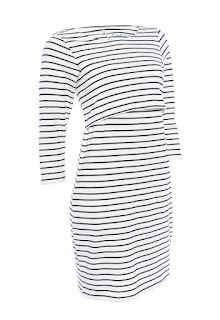 The coral colour is divine, but if a basic black or a classic black and white stripe is more you - you are in luck! 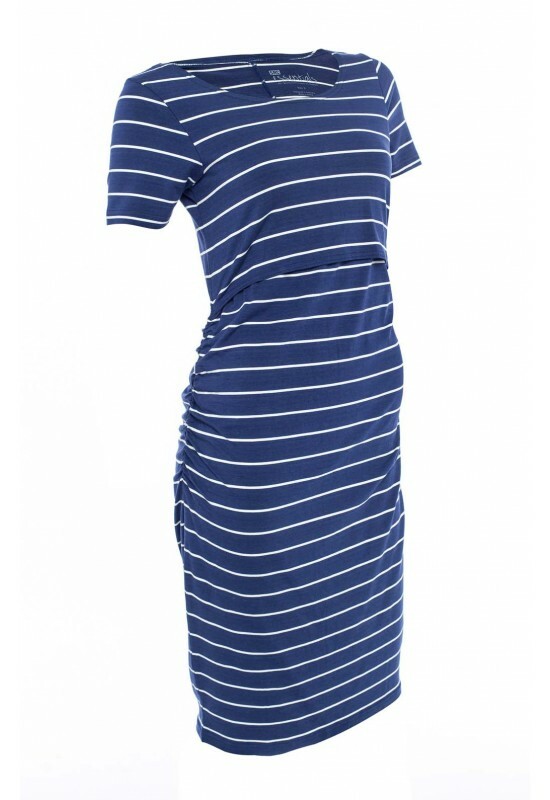 This dress retails also for $69.95 and you can view or purchase online here. A flattering, breastfeeding tee is worth its' weight in gold! 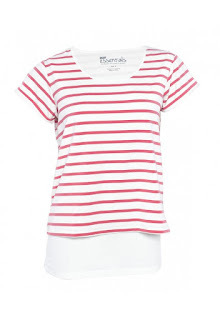 Wear with shorts, (stretchy) skirt, cuffed denim jeans or with your leggings to hit the gym - this tee is a must have. I love the longer line, especially post pregnancy with your new 'curves'! 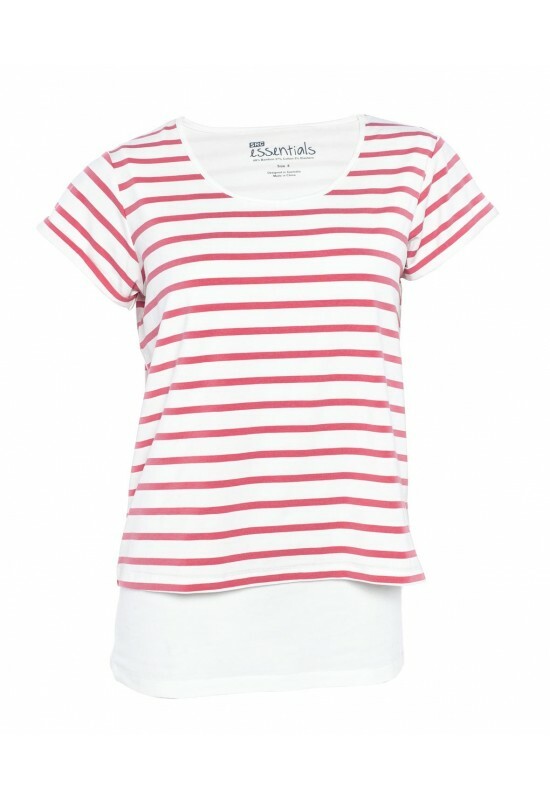 Also available in the coral stripe and classic black - I suggest one in each colour - seriously! The tee retails for $59.95 and you can view or purchase here. The essentials range, unlike most maternity pieces, has been designed with postnatal needs also in mind. So not only will you get to wear these with a bump, but you'll look equally as fabulous (and comfy) post bub when breastfeeding too. Now I am definitely no model (as you can tell) and these pictures have been taken 4 months post baby #3, after having 3 kiddies in 3.5 years, after a c section and with quite a bit of post baby weight still on! But even still you can see that the pieces are not clingy and that the fabric hangs well and seriously the cotton is so soft and comfy. To take advantage of this offer, simply enter the code ESSENTIALS at the checkout. Please note that this offer is valid until 31 March 2016. And at the same time, if you are in need of some SRC Recovery shorts (my absolute MUST have for the hospital bag), you can take advantage of an exclusive offer to buy one pair and receive 25% off the second pair. Post pregnancy you will live in these, so two pairs is a fabulous idea. Or if you have a friend or family member also expecting, why not share the discount between you?! To take advantage of this offer simple enter the code BUNDLE at the checkout. This offer is also valid until 31 March 2016, so don't miss out! And for those of you that would like to win a piece, stay tuned as I will be giving you the chance to make an item from the Essentials range all yours later on this week. I would love to wear the Long Sleeve Feeding Dress. I like the colours and shape. So many maternity clothes are dull and boring but, this is vibrant and would make me feel great.